If you're not familiar with New York City, consider taking a sightseeing bus tour to get oriented. Make it a double-decker bus with an open top, and it instantly becomes an adventure. CitySights and Gray Line both operate convenient hop on-hop off tours that let you see major sites at your own pace. 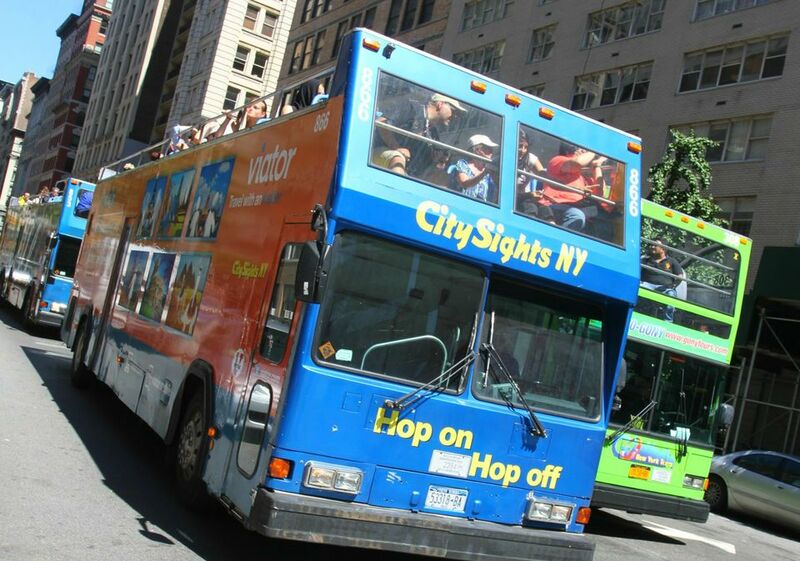 Tripsavvy's New York correspondent has written a review of CitySights NY Hop-On, Hop-Off Tours. Once you're oriented and have discovered a few favorite parts of town, you can get to know New York's subway system. Many television shows are made in New York City in front of live audiences, which means you can be part of the fun if you plan ahead and get tickets to taped TV shows. The sooner you can start, the better. Several companies offer sightseeing cruises on the Hudson and East Rivers but if you're visiting during the summer with a teen, you should plan to ride "The Beast" or "The Shark." Circle Line Cruises operates both of these high-powered speedboats, which give 30-minute thrilling cruises across the water, offering cool relief (you'll definitely get sprayed) from the city's sweltering temperatures. The Beast leaves from midtown at Pier 83, West 42nd Street while The Shark leaves from downtown at South Street Seaport. Note: Kids must be 40 inches tall to ride The Beast or Shark. Tip: Buy a CityPass that includes five other attractions-- a great way to save money on admission tickets. If your teen has never seen a Broadway play, your trip is a great opportunity to check that off the bucket list. It's not cheap, but productions are high-quality and often pack star power, making the experience well worth the time and money. Here's the low-down on how to buy Broadway discount tickets. If you're up for a foodie quest, Scott's Pizza Tours offers both a bus tour and walking tour whose missions are to introduce you to NYC's finest slices. Top of the Rock is a first-rate sightseeing attraction in midtown Manhattan. Visitors can ogle great views of Manhattan from three observation decks on the top of the famous 30 Rockefeller Plaza, a prime New York City address with a history that dates back to 1929. There are three observation decks, starting on the 67th floor. While you're here, explore at street level. Rockefeller Center itself is an NYC institution, covering many city blocks between 48th and 51st street, and fondly known in winter for its outdoor skating rink. Rockefeller Center is also home to NBC Studios (where you can take a Studio Tour) and Radio City Music Hall, another popular tourist spot. 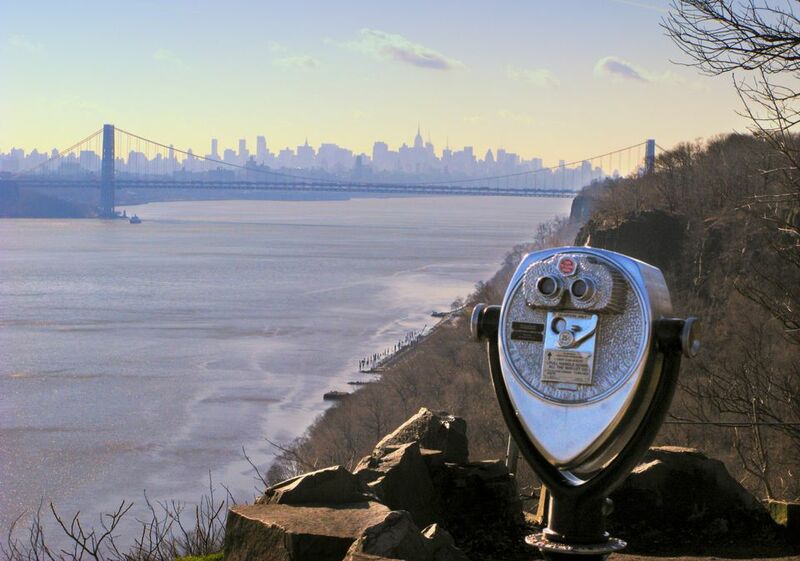 Explore the city through some of its settings for films and TV shows on a guided tour that matches film clips inside the tour bus with the real-life New York outside. On Location Tours offers several tours including a "New York TV and Movie Tour" that visits locations for Friends, Seinfeld, Spider-Man, How I Met Your Mother, and many more. For almost two centuries, the Lower East Side was home to immigrants from 20 different nations. One-hour guided tours explore the actual apartments where people lived in the early 1900s and you can see a replica of a sweatshop where a family raised kids while making their living in the garment industry. Perhaps more than any other attraction, Grand Central Station epitomizes the bustle of New York City. This Beaux-Arts landmark is in the heart of Manhattan at 42nd Street and Park Avenue and will impress even a reluctant sightseer. Drop by to admire the main concourse and take a free tour if you have the time. Your kids will love visiting the whispering gallery outside the Oyster Bar where they can experience one of the building's interesting architectural "secrets" first hand. Wonder where New Yorkers go to play? You have surely seen parts of Central Park in movies, but you'll be amazed at the massive size of this oasis of green in the midst of the throbbing city. There is so much to do in its 893 acres, from walking tours and rowboat rentals to live entertainment and a huge array of recreational pursuits, from jogging, biking, volleyball, and basketball to horseback riding. At the very least, consider taking a picnic to the park's wonderful meadow. For a really authentic New York City experience that will resonate with your teens, consider a short-term apartment rental. It is a particularly smart idea for larger families, as you'll be able to get more space and home-style conveniences than you would be able to find at a hotel for the same price. Ask Suzanne: How Can My Big Family Find an NYC Apartment?